When a potential client calls for a Price Estimate, we will ask for information such as the square footage of the building, the services requested, and how often they would like the location cleaned. Cleaning schedules usually range from once a week to 5 times a week, depending on the traffic level and building usage. Many Cleaning Service Companies in Pennsylvania offer fair prices and green solutions, but at Lancaster Commercial Cleaning Service, we offer that and so much more. To begin with, we don't believe that anyone should be charged for a Price Quote in the cleaning field. It is simple enough for us to chart out exactly what expenses will occur based on the size of building and amount of employees / customers we would be cleaning after. We happily offer Estimates FREE of charge with No Obligation. A simple phone call or email can begin the conversation on how your business can sparkle! To get the Best Commercial Cleaning Service Lancaster, PA has to offer, call (717) 983-4307. Lancaster Commercial Cleaning Service understands that there are many options in the Lancaster County area for cleaning services. We believe that our Cleaning Service prices are fair, and quite competitive, when compared to the competition. We feel that you as a Business Owner will be pleased with our range of rates upon the Complementary Price Quote Request. 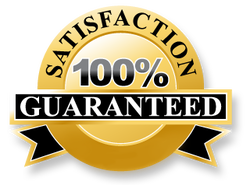 Of course, upon receiving your Free Estimate, you are at no obligation to continue with Lancaster by any means. We simply would like the opportunity to prove ourselves with our Superior Quality of Products and Customized Service. It is our goal to not only meet your expectation, but to exceed them.